Nintendo has shared some new details for their upcoming Luigi’s Mansion remake. 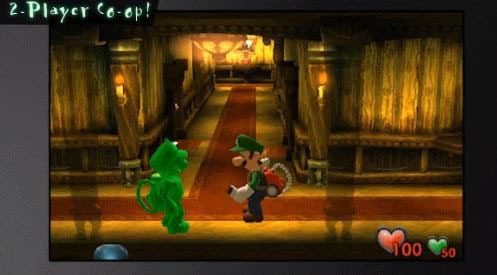 The game will have a new cooperative mode, where player one plays as the real Luigi and player two controls a ghostly, green Luigi. Various amiibo were also confirmed to be supported for the game, each of which unlocking various goodies as you explore the haunted house. The Nintendo 3DS-bound remake will launch on October 12th in North America and on October 19th in Europe. A price is set at $39.99.